This study examined female and male students' perceptions of the use of asynchronous discussion forums and quizzes to promote critical thinking dispositions. Research suggests that there are differences between female and male students in terms of learning in online environments. However, studies that focus on these differences, especially in promoting critical thinking dispositions, are limited. 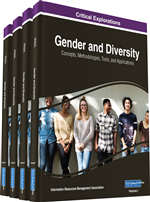 To this end, this chapter explores gender differences in the use of the discussion forums and quizzes to promote critical thinking dispositions. A mixed methods research approach was used. Both quantitative and qualitative data were collected concurrently through a questionnaire. Findings indicate that female students had higher critical thinking dispositions related to open-mindedness and inquisitiveness than male students. There was no statistically significant difference between female and male students in the other critical thinking dispositions. Implications for pedagogical practices have been discussed. Further research can involve a larger sample from different sociocultural settings. Critical thinking dispositions are a component of critical thinking. The other components of critical thinking are critical thinking skills and knowledge. Critical thinking skills include processes such as analysis, evaluation, explanation, inference, self-regulation and reflective judgment (Dwyer, Hogan, & Stewart, 2014; Facione, 2013). Critical thinking as knowledge involves general information and basic facts, specific content-based knowledge, and intellectual development and knowledge gained from life and work experiences (Thomas & Lok, 2015). When people think critically, knowledge is gained and created (Halpern, 2014; Hunter, 2014). Critical thinking dispositions include individuals’ inclinations and motivations related to critical thinking. Facione (2000) defines critical thinking dispositions as consistent internal motivations to use critical thinking skills to decide what to believe and what to do (p. 73). From the Delphi Report (Facione, 1990), analyticity, truth-seeking, systematicity, maturity of judgment, open-mindedness, inquisitiveness, and critical thinking self-confidence were outlined as critical thinking dispositions. Analyticity refers to being cautious to challenging situations and their anticipated consequences, and intervening through the use of reason and evidence to solve problems (Facione, 1990; Giancarlo & Facione, 2001). Truth-seeking is related to intellectual honesty, courageous desire for best knowledge in any situation, the inclination to ask challenging questions and to follow the reasons and evidence wherever they lead (Facione, 1990; Giancarlo & Facione, 2001). Systematicity is being organized, focused, orderly, diligent, and persevering in the inquiry process (Facione, 1990, 2013; Giancarlo & Facione, 2001). Open-mindedness refers to awareness of one’s biases, prejudices, stereotypes, or egocentric tendencies, and tolerance for new ideas and divergent views (Facione, 1990, 2013; Giancarlo & Facione, 2001; Hosseini & Saha, 2017; Wilson, Ottati, & Price, 2017). Inquisitiveness is related to intellectual curiosity and the intention to learn things even if their immediate application is not apparent (Facione, 1990; Giancarlo & Facione, 2001). Maturity of judgment is related to reflective judgment that involves problem-solving and decision-making (Facione, 1990; Giancarlo & Facione, 2001). Critical thinking self-confidence refers to trust in one’s own reasoning and in one’s ability to guide others to make reasoned decisions (Facione, 1990; Giancarlo & Facione, 2001).